The one thing we didn’t guard well was the treasured book itself. Back to the home page to get your free notification of Ken’s future blogs. Talk of worth it’s weight in gold! Into the safe haven of our guard book we would pour everything we learned, carefully preserving it for posterity. The crucial thing here is that without the forensic trail from their guard book, this insight would have been missed completely. • Time to turn the talk into action. • Why fundraisers should say thank you nicely. • The future of fundraising. • The donor pyramid isn’t well either. Plus reviews of Type & Layout, by Colin Wheildon and Digital Giving, by Richard C. McPherson. Talk of worth its weight in gold! Into the safe haven of our guard book we would pour everything we learned about our direct mail and press advertising, carefully preserving it for posterity so that over time we could use it to build a detailed record of what worked for us and what didn’t, by how much and when. It was most crucial for recording what we learned from our elaborately constructed (and very costly) series of tests. Testing is of course an exacting and expensive business. It was only by going back to the lessons in the guard book that we were able to secure value for our money. To be quite honest I was then spending more money on a daily basis on this thing called direct marketing, via press advertising and direct mail, than I’ve ever spent on anything, before or since. Donors’ money too. Money entrusted to me to help some of the poorest people on the planet. I needed to be able to see, in detail, precisely how that money was being spent; which part of it was working best and why. Lord Leverhulme, as head of Unilever Britain’s biggest advertiser, famously said that only half his advertising worked; the trouble was he didn’t know which half. Not us: we had our guard book. At any given point we could account precisely for what was working. And why. And by how much. 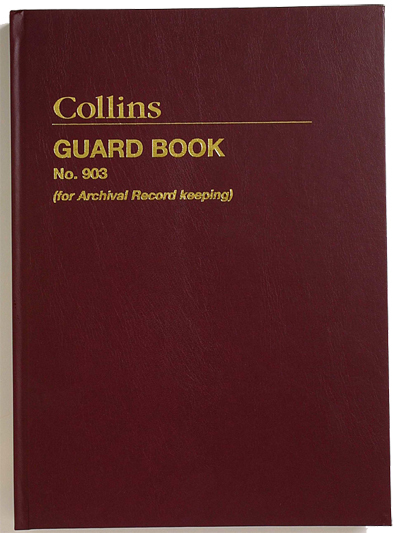 Simply, a guard book is a book or folder for storing copies of published advertisements, alongside which you record each advert’s date of appearance, cost, position, special features and response, plus a summary of any other factors that might even slightly influence your results – competing editorial coverage, significant world events, other ads that might detract from or even support yours. Even the weather would be noted in a good guard book – if it was a hot and sunny day response might go down because people would be outside enjoying the sunshine rather than indoors reading your ad. Such imprecision is an admission of failure. Yet for some it’s easy to dismiss the guard book as just a quaint piece of nostalgia, a fragment of the old way of doing things. If you feel like that, consider this instructive tale from UK master strategist Alan Clayton. Alan was working with a major animal welfare organisation. Their direct marketing income from warm appeals was declining. No change in creative technique, copy, or data segmentation seemed capable of halting the decline. So they turned to their guard books, where they were able to review results from five years of warm appeals. They soon noticed something very special. Whenever an appeal featured just animals, it performed poorly; but when it contained stories about bad and good humans as well as animals, it performed well. The difference between anger and compassion is huge. For this audience, anger was an immediate trigger for action. Their action gave donors the feeling of reward and elation. Compassion, on the other hand, just compounded a feeling of hopelessness and despair and therefore discouraged action. The lesson was that the organisation should communicate as an ‘anti-human-cruelty’ organisation rather than a ‘save-the-cute-animal’ organisation. A fundamentally different way of saying the same thing. The crucial thing here is that without the forensic trail from their guard book this insight would have been missed completely. Bring back the guard book. And keep it safe and up to date. When we should give up, and other lessons from testing. See SOFII’s take on testing here. Ken Burnett’s books on fundraising and communication include the classic Relationship Fundraising: a donor-based approach to the business of raising money, Friends for Life: relationship fundraising in practice and The Zen of Fundraising. To fill the gaps in your library, click here. If you’d like to be informed in advance of opinion blogs and stories from Ken Burnett, please email here with just ‘add me to your blog list’ or something similar in the header. You can opt out at any time. It doesn‘t look much, but for marketers, it holds the sum of all knowledge. Specimen page showing tests from a fictional guard book.